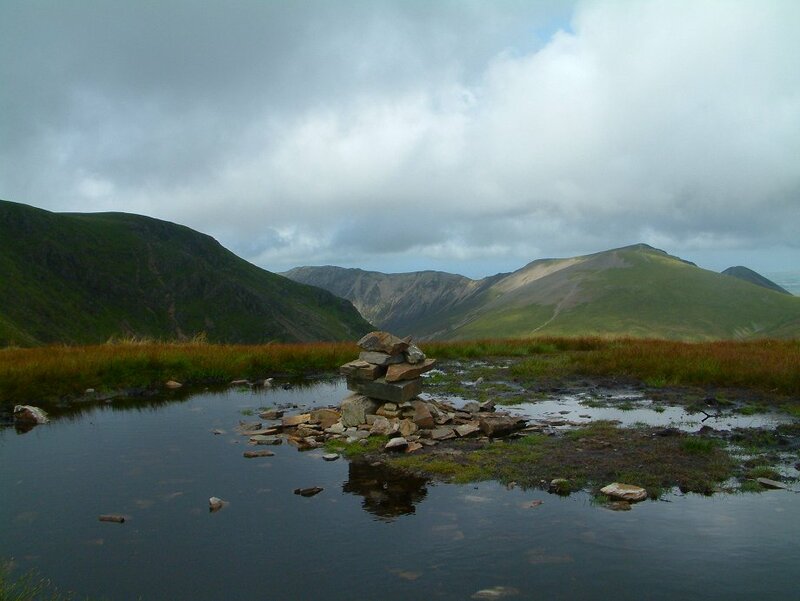 Grasmoor from Cinderdale Common. 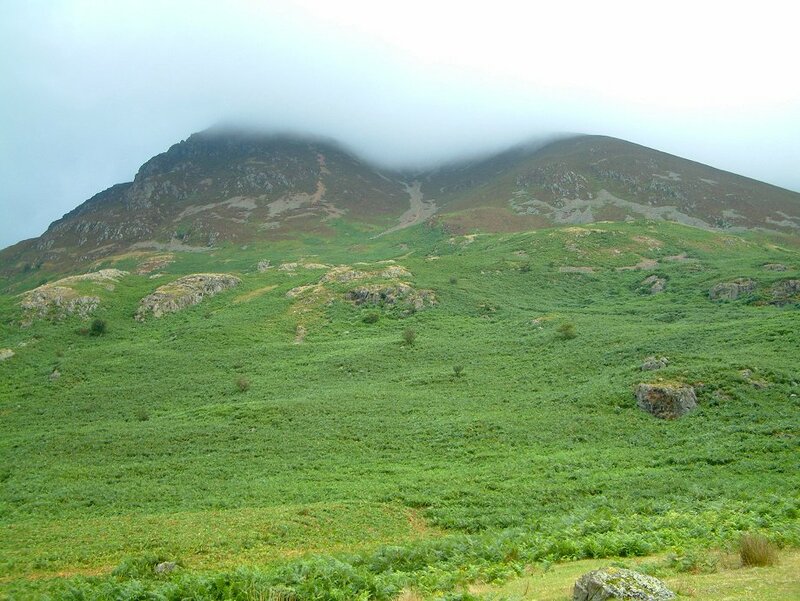 The mist was to linger around the top of Grasmoor for most of the day. 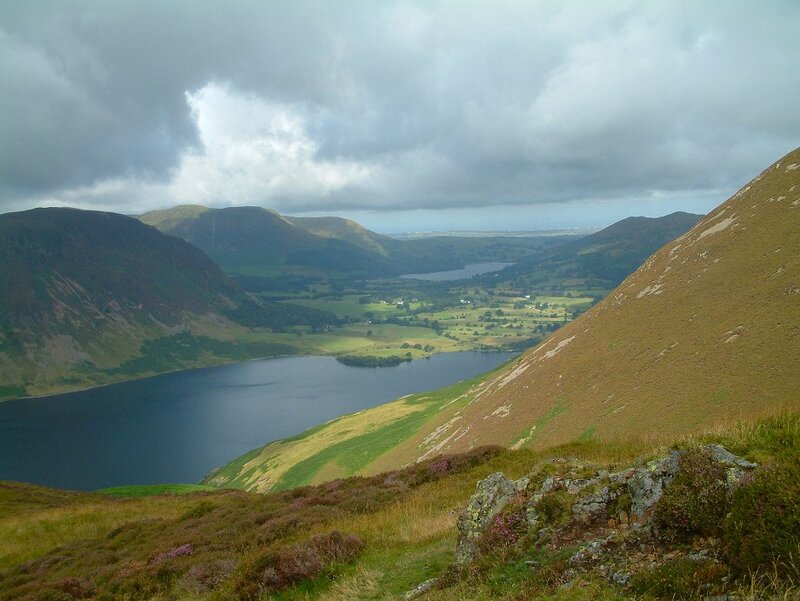 Crummock water and Loweswater from low down on Lad Hows ridge. 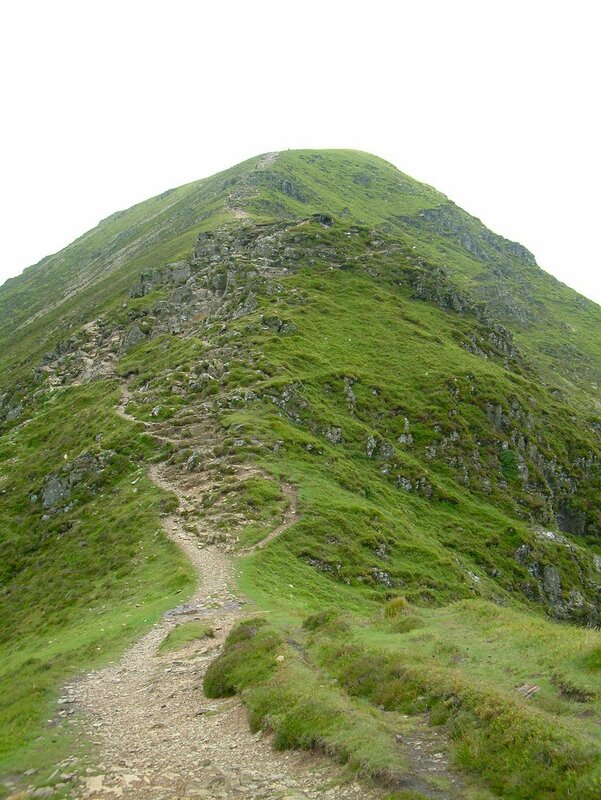 My route of descent, the Whiteless Pike ridge. 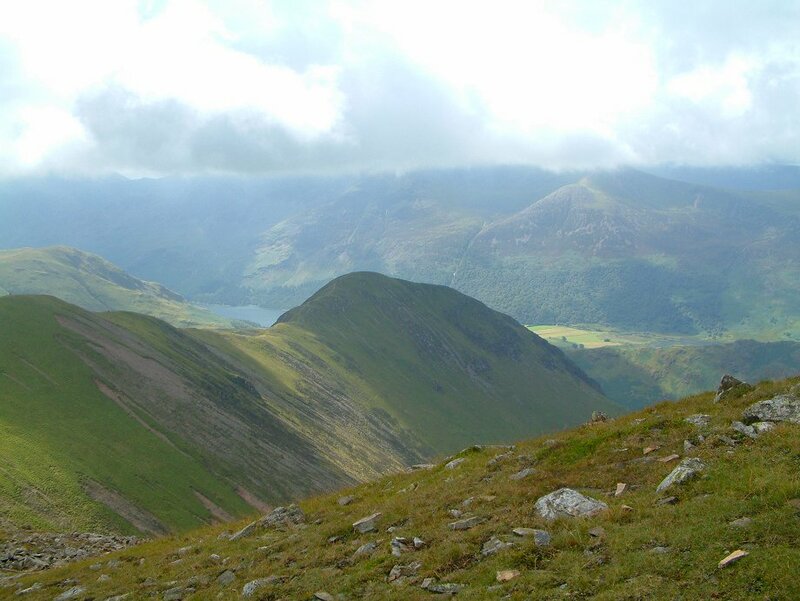 After having no views at all from Grasmoor the weather improved a bit as I reached the top of Crag Hill. 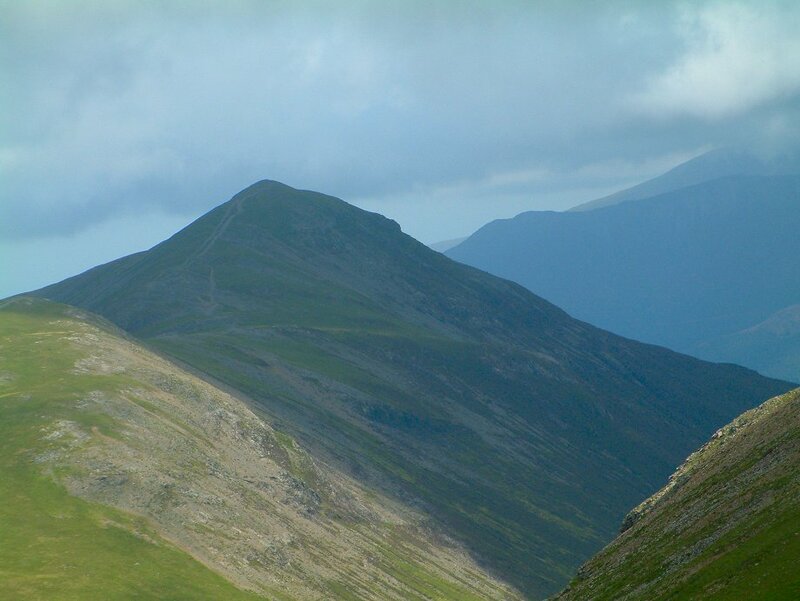 .Looking along the ridge to Sail and Causey Pike. 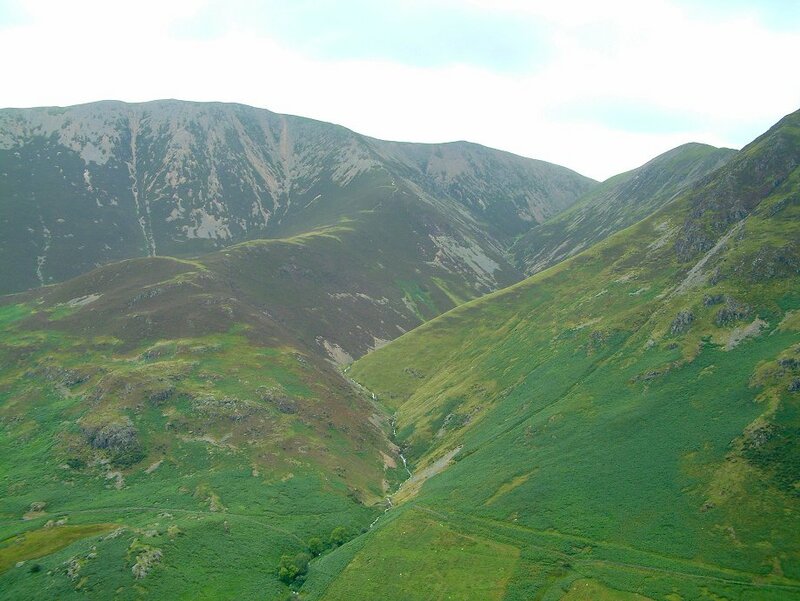 Looking over to the Hopegill Head ridge from the top of Sail. 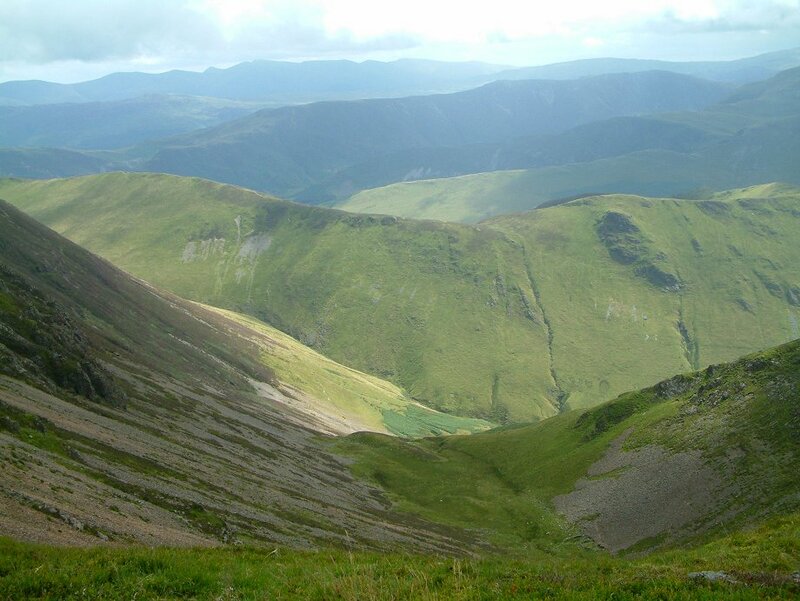 Looking over Ard Crags to the Maiden Moor ridge and the central fells beyond. 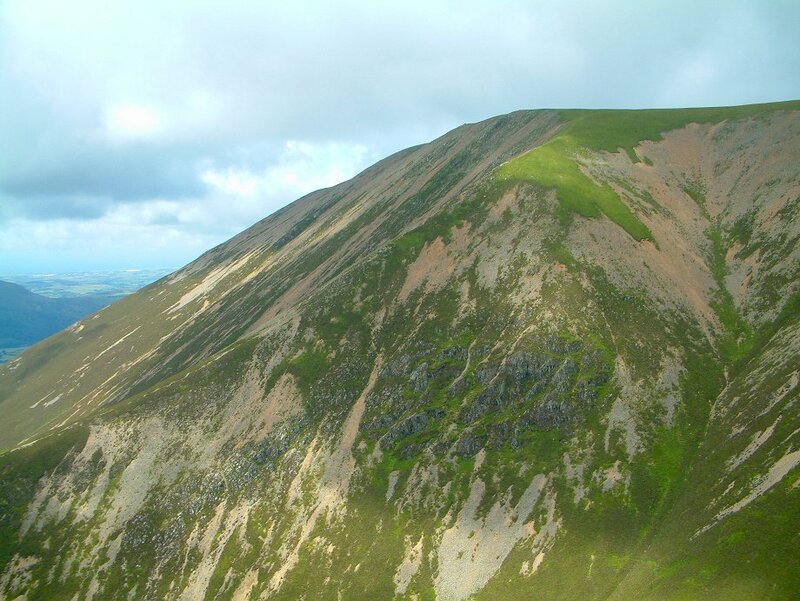 Typically Grasmoor is now free of cloud. 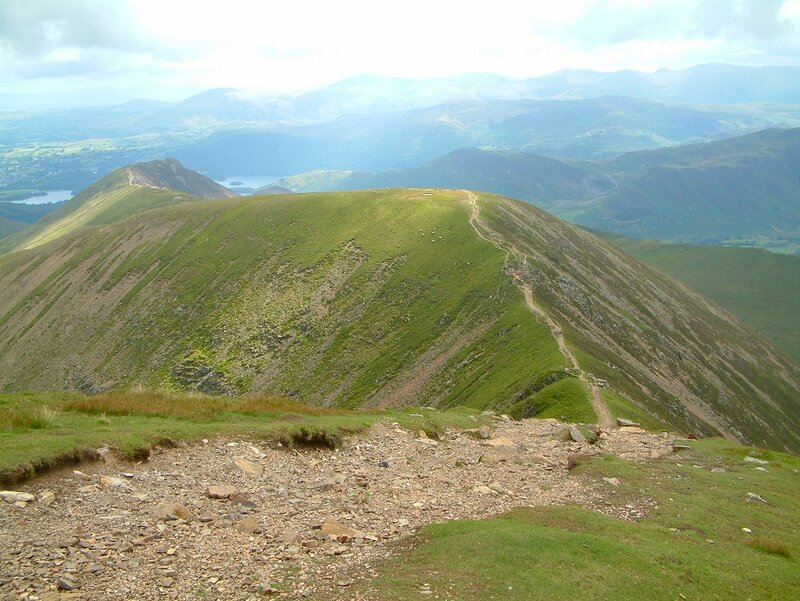 The Lad Hows path looks very steep from here. 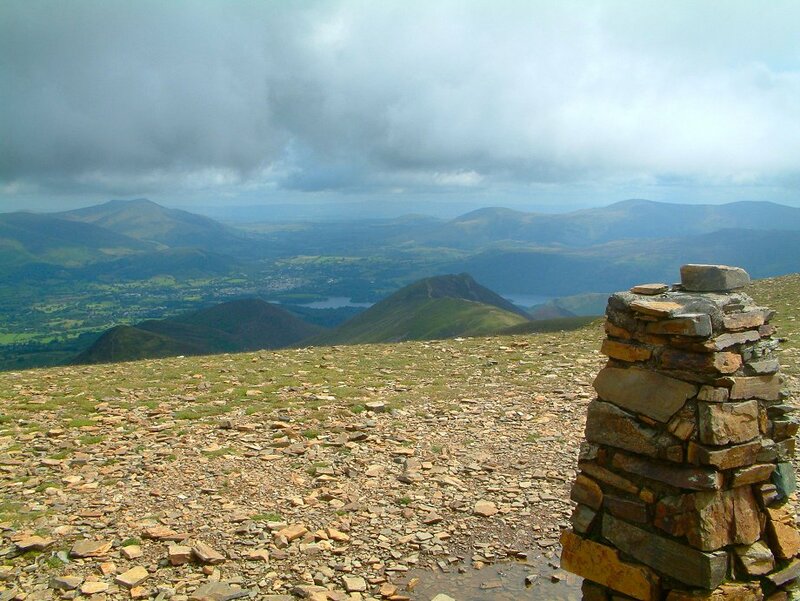 Whiteless Pike from the descent of Wandope. 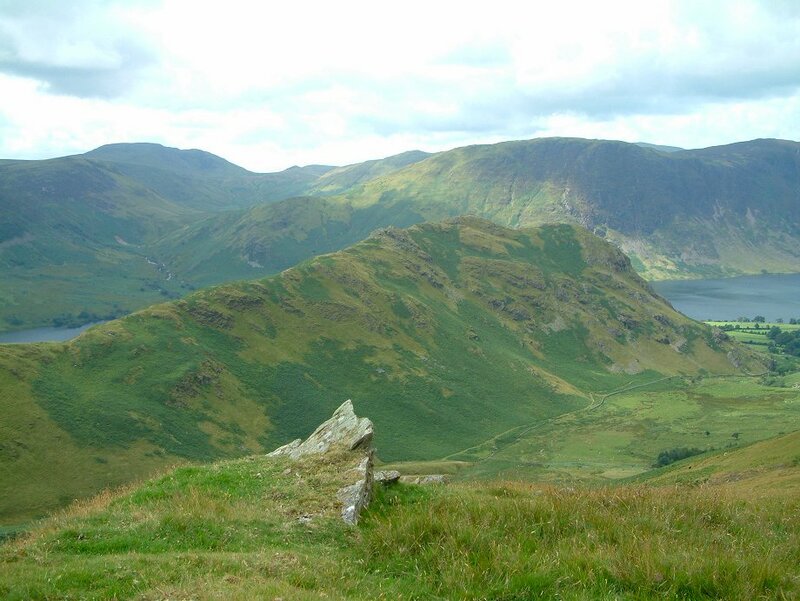 Rannerdale Knotts, My last fell of the day. 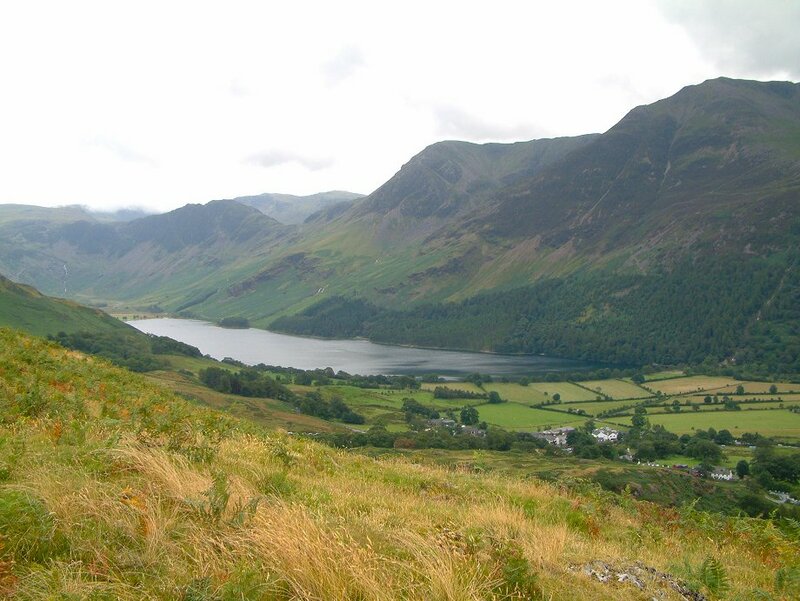 Buttermere with Haystacks, High Crag and High Stile behind. 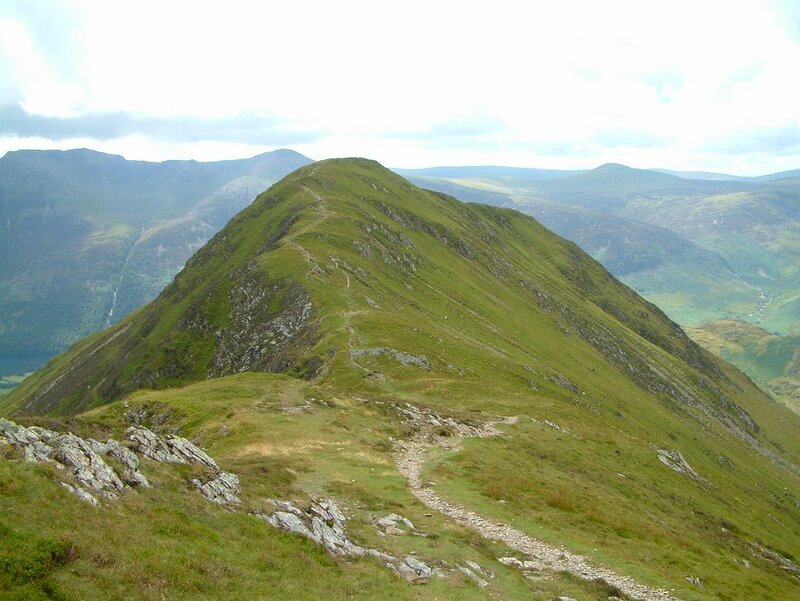 A last look at Grasmoor with the Lad Hows ridge curving round to the summit platue.